I am a virulent free trader. I love commerce between nigh any peoples and nations with whom the exchanges are on equal footing - and as unfettered as possible by government intervention and imposition. The problems arise when we venture out into a world full of countries in love with government intervention and imposition. Every nation on the planet has the inherent desire to tilt the commercial scales in their favor. I fully understand the aspiration - but we should demand it never become commercial policy. Unfortunately, we have spent the last half century or so allowing the world’s nations to do exactly that. Very much to our national detriment. In no small part because - from all appearances - the United States’ Establishment does not share the rest of the world’s inherent desire to make our nation better. The US Establishment has for decades allowed access to our world’s-largest-economy - virtually free from government imposition. While time and again allowing nigh every other nation to impose all sorts of government limits, taxes and other inflictions upon our goods and services entering their markets. Additionally, the US Establishment has stood idly by while the world’s nations engaged in all sorts of domestic-cronyism-abuse of our companies and their products. To wit: China, South Korea - and our intellectual property. China’s anti-monopoly case against Qualcomm was because Qualcomm own patents. Which is a lawless assault on Qualcomm and its intellectual property. Patents are issued with the expressed intention of their granting their holders exclusive use of that which is patented. To then charge a patent holder under antitrust monopoly law is an egregious abuse of power and decidedly obnoxious. China did this in part because it is a Communist government, and Communists aren’t very nice. And they’ll certainly very much enjoy spending Qualcomm’s $1 billion. But they also did it for a homegrown crony reason. And Huawei is…a Chinese company. So the Chinese government attacking Qualcomm helps Huawei. But again, China is Communist - with all the nastiness that entails. Certainly a free nation like South Korea wouldn’t do anything remotely like what China did. Oops - South Korea has done exactly what China has done. For exactly the same reason. Samsung is…you guessed it - a South Korean company. So South Korea’s government attacking Qualcomm helps Samsung. Even still, this is a pretty corrupt way of doing business. How very China of them. This should surprise us in South Korea, no? Ex-South Korean President Indicted for Corruption: “South Korean prosecutors on Monday indicted former President Lee Myung-bak with 16 counts on a number of corruption charges, which also includes taking bribes. “Lee has been in pre-trial detention since he was arrested last month on charges of bribery, embezzlement, abuse of power and other irregularities. How very China of them. 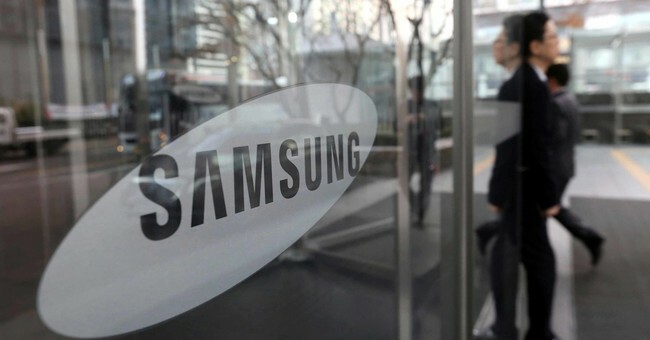 Any chance Samsung - a company obviously willing to bribe South Korean presidents to the tune of millions of dollars - got a little quid pro quo in the form of the South Korean government fining Samsung-competitor-Qualcomm almost $1 billion? Under the most dubious and lawless of circumstances? It is not outside the realm of possibility…at all. President Donald Trump and his administration have most thankfully made intellectual property protection a focal point of their global trade negotiations. Because if the other side is massively stealing from you - your trade relationship ain’t exactly balanced and fair. Trump has focused his intellectual-property-protecting attentions on China. He should widely broaden the fix of his gaze. Because as we said at the outset- the world isn’t a very nice place.